When you add another log to the fire, you know what happens. It is soon ablaze itself and it eventually helps keep the other logs burning as well. But the log must be touching the other logs. 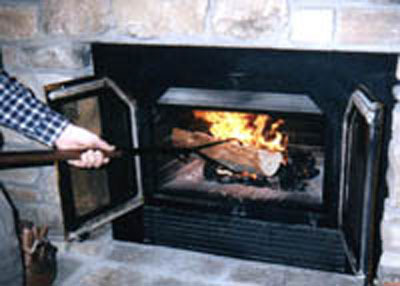 Set a fresh log outside the fireplace and not much happens. This is what we love about community: We fire each other up. But we’ve got to be touching each other. I know, this idea of touching one another sounds a little … well, intimate. I’ve read books that say we shouldn’t use the word intimacy to describe the relationships in a small group–we might scare some folks away. But when I read the Bible, especially the gospels and Acts, I see intimacy all over the place. Jesus touched people, physically, emotionally, spiritually. He had compassion for them. He washed their feet, touched their faces, allowed them to touch him. Perhaps our fear of touching people is keeping God’s church from reaching the world. Prayer–real prayer–is an act of intimacy. That’s why, I believe, Jesus’ brother connected confession with praying for each other (James 5:16). Care and prayer for one another in the group go hand in hand. This is a 24-7 thing, not just a once-a-week-at-the-meeting thing. It is also a one-another thing, not just a leader thing. The New Testament shows a church that naturally cared for and ministered to one another. Healthy small groups are places where everyone is involved in ministry to one another, not where one person serves and cares for everyone else. I want to try to find ways to connect people like logs in a fire in the groups I lead. So, within the first few weeks of a new group, I pass out index cards and have everyone write their name and contact information on one side and things they would like regular prayer for on the other side. At the end of the meeting, we put the names in a hat and everyone draws a card. They meet with that person after the meeting to talk, share other prayer requests, minister to and pray for each other. (This means each person will meet with two different people after the end of the meeting – the person they are praying for and the one that is praying for them.) They are to continue praying for that person every day as well as contacting them to encourage, pray out loud for, and build accountability with their partner. Of course there are many variations on this simple assignment. Whatever methodology you use, what’s important is getting people to pray for one another and thereby touch each other’s lives. Praying for each other, along with confessing our sins to one another, is part of the community-life dynamic duo that is powerful and effective. Get your group members praying for each other, and they will be transformed–because they are being prayed for and because they are praying. 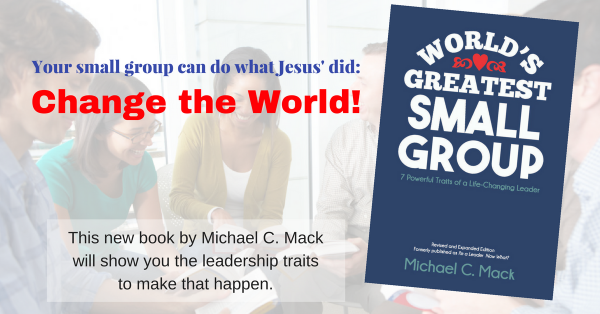 Your group will be transformed from a good group to a great, transformational group. This will fire them up! And leader, don’t forget that this starts with you, as you model praying for your group members.